The butterfly knife (also known as a balisong or a Batanga knife) has handles that rotate around the tang of the knife and conceal the blade when it's closed. 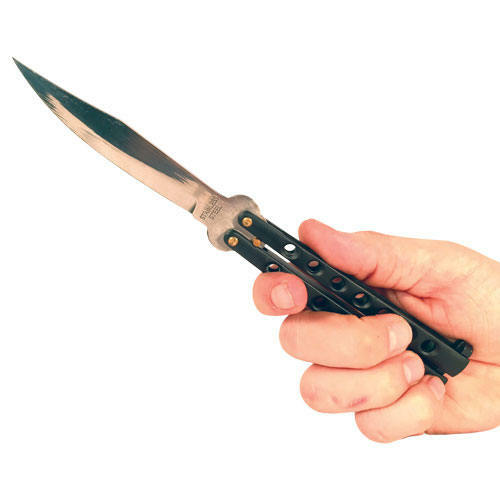 A balisong or butterfly knife is uniquely designed so that when the knife is closed, the handles of the knife completely cover the blade. To open, you unlock the blade and use a wrist flipping motion to "unsheath" the blade. Originally from the Phillipines, butterfly knives were brought back by American soldiers during WWII and have been popular ever since. A butterfly knife that feels heavy and sturdy is just what you're looking for. Our butterfly knives are constructed with the highest standards. 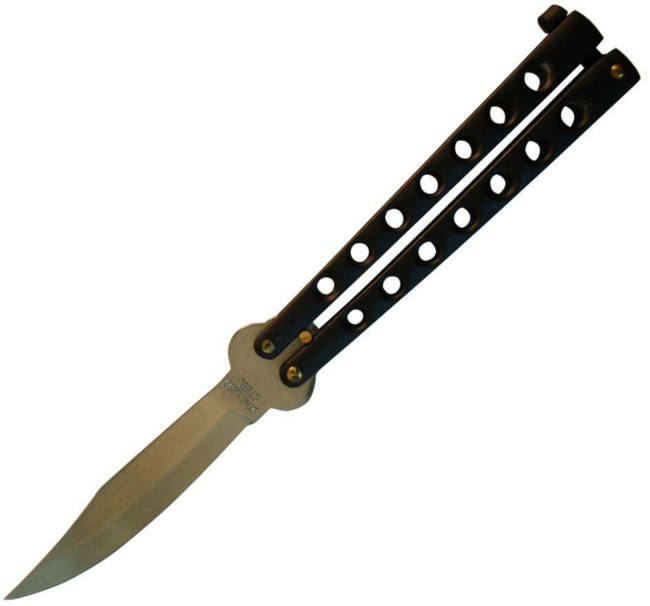 Stainless steel balisong knife with a straight back blade is tapered and angled upward for a superior cut. The handle is finished with a nice and smooth comfortable surface. The handle is well balanced with tactical cutouts and a light weight design for solid flipping. Safety - The handle features a latch for to lock the knife when not in use. Available in three color options: Black, Plasma, and Silver. Chose your favorite and order today.